Female brown bears in Sweden are now frequently caring for their offspring for an additional year, finds a USN-financed paper published in Nature Communications. The change is associated with hunting regulation that protects mothers and their dependent cubs. While hunters are allowed to kill single bears, they can’t shoot mothers with cubs. 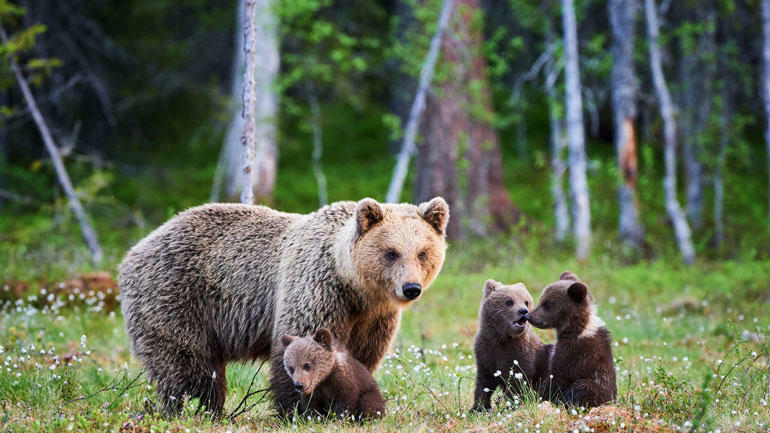 USN associate professor Andreas Zedrosser and his international colleagues have analyzed data on the reproductive strategy and survival of brown bears. The data has been collected over more than 20 years, as part of the Scandinavian Brown Bear Research Project. They show that an extended period of maternal care (up from 1.5 to 2.5 years) has been spreading in the population since the first observation in the mid-1990s. He was interviewed together with PhD-student Joanie van der Walle of Universitie de Sherbrooke in Canada. She is the papers first author, and Andreas Zedrosser is her co-supervisor. "In the beginning of the study there was no observations of females keeping their cubs for two years and a half. But since 1995 we started to observe that some females kept their cubs for an extra year. And since 2005 that proportion has increased. Now we see that more than one third of the females keep their cubs for two years and a half", says Joanie van der Walle. Although extended care means that the females have fewer breeding opportunities, Zedrosser, Van der Walle and their colleagues show that this cost is outweighed by a higher survival rate of mother and cubs. "The female bear seems to have figured out that keeping the cubs for an additional year gives her protection from hunters. I think we can say that humans are a major evolutionary force in the life of bears. It’s interesting how people can affect life histories of animals, and I think these changes in behavior will be passed down genetically to new generations of bears", says Zedrosser. He is surprised about the findings. "In other animal species, hunting and harvesting have been linked to selection for a faster life cycle. This is because individuals must start reproducing early in order to maximize their opportunity to reproduce. Our findings suggest that hunting and certain management regulations can interact to slow down a species’ life cycle", says Andreas Zedrosser and Joanie van der Walle . The story has gained a lot interest internationally since published in Nature Communications, with coverage in major news outlets such as The Guardian and BBC News. The scientific paper is number 248 from the Scandinavian Brown Bear Research Project. 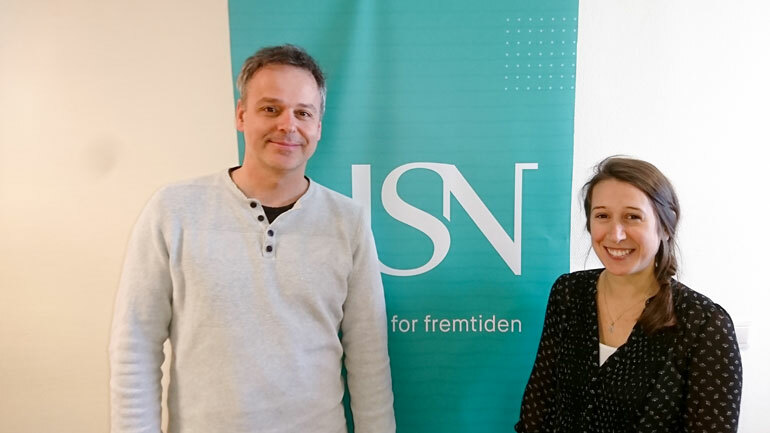 The project is funded by the Swedish Environmental Protection Agency, the Norwegian Directorate for Nature Management, the Austrian Science Fund, and the Swedish Association for Hunting and Wildlife Management. The paper is written by Joanie Van de Walle, Gabriel Pigeon, Andreas Zedrosser, Jon E. Swenson & Fanie Pelletier. Fanie Pelletier and Andreas Zedrosser supervises the study. 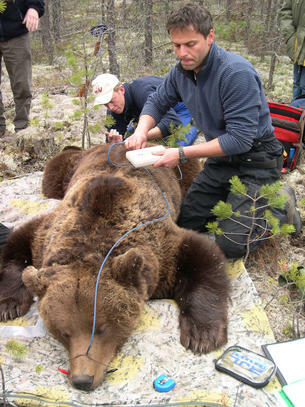 Jon E. Swenson and Andreas Zedrosser coordinates the Scandinavian Brown Bear Research Project. The study area is located in Dalarna and Gävleborg counties, south-central Sweden. The area encompasses 13,000 km2 of rolling landscape dominated by forests. Hunting is the most important source of mortality for adult Scandinavian brown bears. Bears are hunted throughout the study area; the bear hunting season starts in late August and, lasts until mid-October or until the regional quota has been filled. Hunting is allowed for anyone possessing hunting rights in a hunting area and a weapon legal for big game hunting. Hunters can kill any solitary bear; however, bears in family groups are protected by law. After families separate, all members may be hunted legally in the fall.